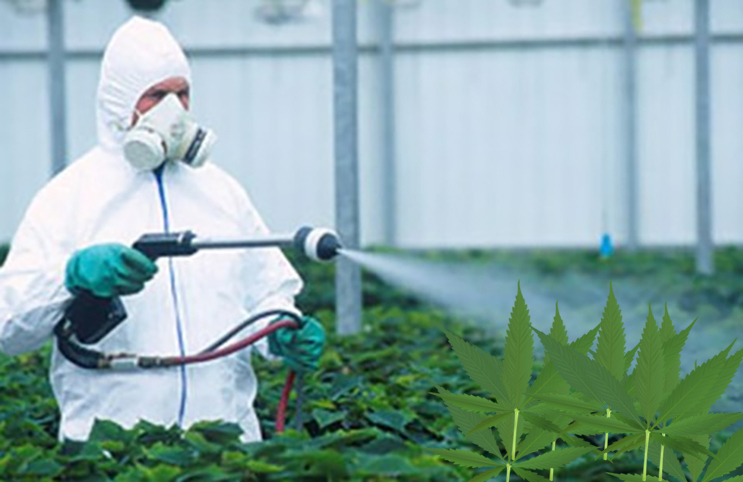 Cultivating Cannabis Plants, being sure about which Pesticides you should use. Growing marijuana will take patience, time and skills for your plants to flourish like many other different plants. When you start to get the threats to your little crop in the form of spider mite, rodents, fungi and ants thing become alot tougher. As we all know pesticides are the chemical’s which are used to kill vermin and weeds, and some of these pesticides can be harmful to us humans aswell. According to an article that was published in the Journal of Toxicology 70% of the pesticides that are sprayed onto the cannabis plants can also be inhaled when you smoke the bud, which then goes straight down to your lungs. There are many side effects from pesticides such as liver damage, weakened muscle function, cancer and that’s just naming a few. And because cannabis is still illegal on the federal level the Food & Drug Administration (FDA) does not regulate it. Unlike any legal produce such as vegetables and fruit, cannabis farmers can’t be certified organic growers and in this in turn lowers the standard for what the general public can consume. It is unfortunate that it is almost impossible to decipher from pesticide and non-pesticide laced marijuana from its appearance. The only way that iy can be sure to avoid those pesky horrid chemicals is by getting your weed from a trusted source only. There have been pesticide bans and this has caused a huge blow to numerous companies over the last few months in the form pf product recalls in places such as Colorado, Denver. As marijuana is federally illegal it means there is actually no way to certify a marijuana grow as being organic, however the mile high city did ban pesticides and also continues to enforce an initiative to clean up what is going into the lungs of their citizens. From products such as edibles to concentrates, these have been removed from the shelves after they had been found to have traces of the harmful pesticides which poses a risk to the health of cannabis consumers and patients. Myclobutanil is an active ingredient in the Eagle 20 pesticide brand that prevents brown patches and dollar spots in established turf, ornamental plants, and certain fruits. This fungicide is considered “slightly hazardous” by the World Health Organization, due to its potential for the nervous system problems and toxic fumes. Exposure to Myclobutanil can result in symptoms such as allergic dermatitis, vomiting, itchiness, nausea, headache, skin rash, nosebleed, aswell as eye irritation. A two-generation study on rats found that Myclobutanil decreased pup weight gain, and also increased incidence of stillborn. The World Health Organization (WHO) refers to Imidacloprid as a moderately hazardous insecticide. According to the National Pesticide Information Center (NPIC), this ingredient in Confidor and Gaucho pesticide brands is moderately toxic if it is ingested or inhaled, but because of the way it binds to cells, it is much more harmful to insects than it is to other mammals. The signs and symptoms from Imidacloprid poisoning are similar to nicotinic poisoning, which include fatigue, cramps, muscle weakness, and also twitching. Avermectin is a insecticide that is found in Lucid and Avid pesticide brands. The Pesticide Action Network (PAN) lists Avermectin as a “Bad Actor,” while Avid labels claim that it is harmful if it is inhaled.” When given doses that were also toxic to the mothers, Abamectin produced cleft palate in the offspring of the treated mice and rabbits, showing that the effects are not healthy. The insecticide for ornamental and landscape plants are found in the TetraSan 5 WDG pesticide brand, and isn’t intended for being inhaled. A recent study has exposed rats to a hefty amount of Etoxazole, and discovered that the livers of all of the subjects were enlarged. 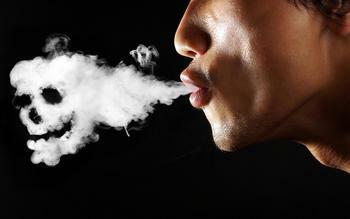 Although it is not the most dangerous on the list, Etoxazole has no business being in anyone’s lungs. Bifenazate is an miticide that is found in the Floramite pesticide brand which helps control a handful of pests on ornamental plants, greenhouse tomatoes, and non-bearing fruit trees. Scientists have found that over a 21 dermal study in rats, Bifenazate triggered a decrease in body weights aswell as urinary volume, which also caused an extramedullary hematopoiesis in the spleen. While there have not been any tests on humans, it is safe to assume that this miticide would definitely cause much more harm than good.